I’m happy to announce the installation of Spin, Weave, Gather — a new panel installation commissioned by the Mint Museum in Charlotte, NC. 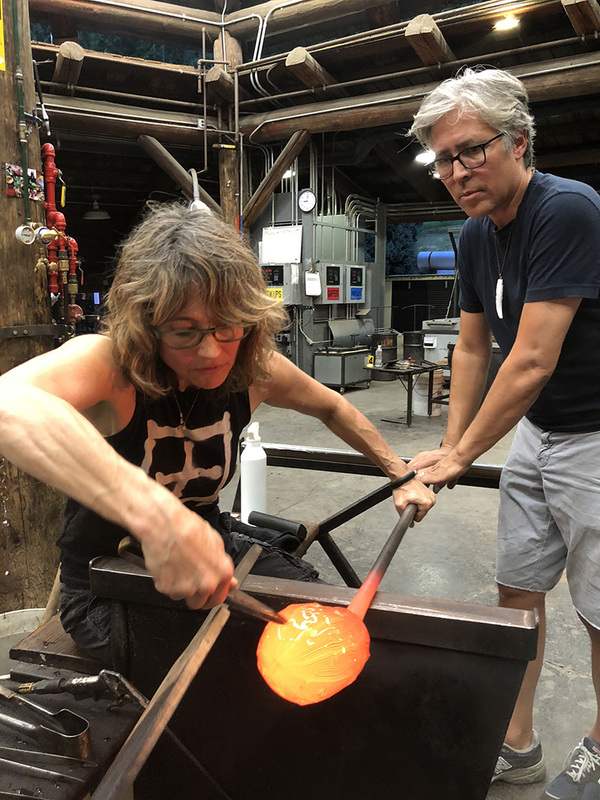 A year in the making, this piece was made possible by the generous support of the Mint Museum Founder’s Circle and two residencies at STARworks. Watch a video about the making of this work here. North Carolina has a rich history of textile industry and design. 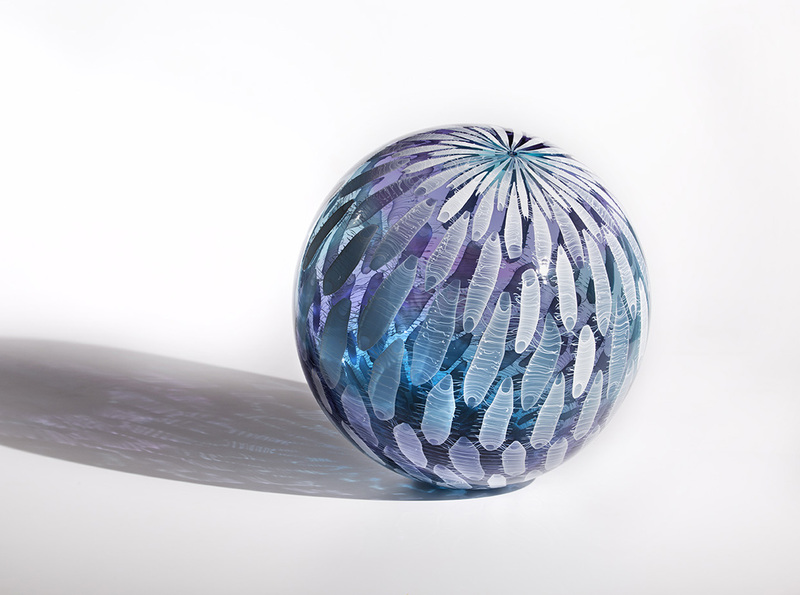 I chose this theme as it relates to my ongoing interest in visual patterns and the relationship between glass cane-work and textiles. 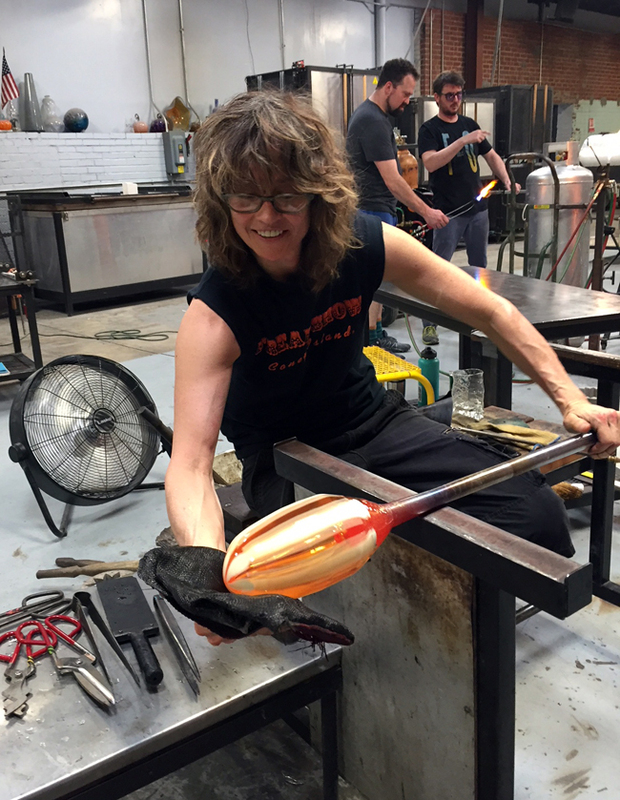 Glass is pulled and twisted into canes, then cut and layered to make patterns in the Venetian style. This mirrors the transformation of raw cotton fiber into threads, yarns and finally fabrics. The ingenuity and complexity of weaving techniques gives way to the effects of time and wear, bringing distress and decay. 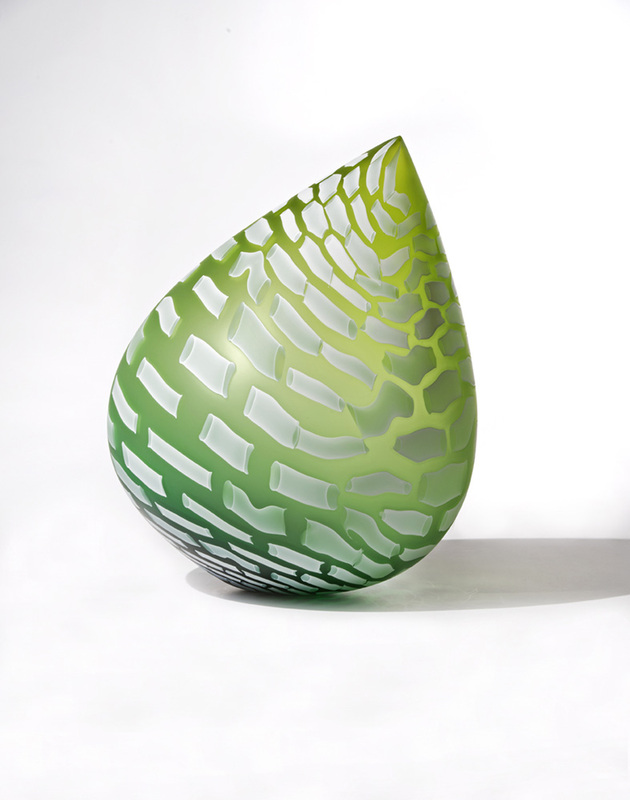 This fragility is inherent in glass, a material that is both remarkably durable and easily destroyed. Spin, Weave, Gather includes panels that reference the process of creating textiles (cotton bols, skeins of yarn, and whirling bobbins) as well as the finished products (ticking stripes, plaids, and frayed fragments). Special thanks to Lorne Lassiter and Gary Ferraro of the Founder’s Circle for their support and to the hardworking team at STARworks. 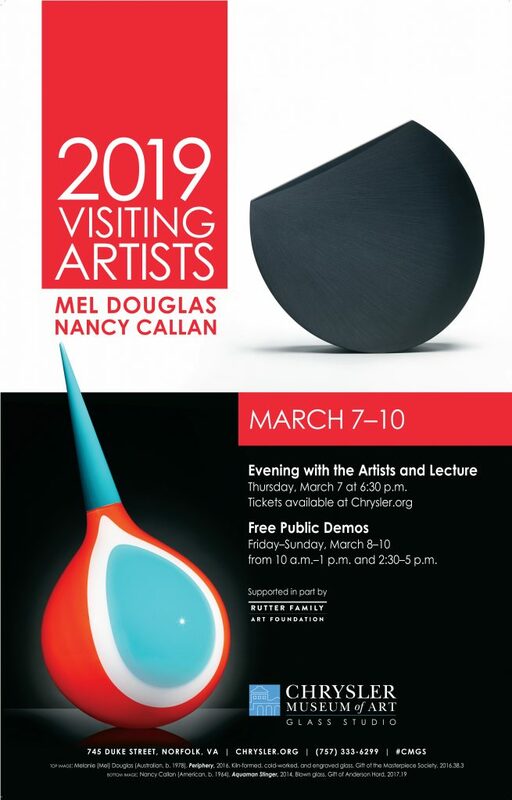 I’ll be in residence with Mel Douglas at the Chrysler Museum in Norfolk, VA March 7 – 10, 2019! Hope you can stop by and visit. For more info, visit their web site. 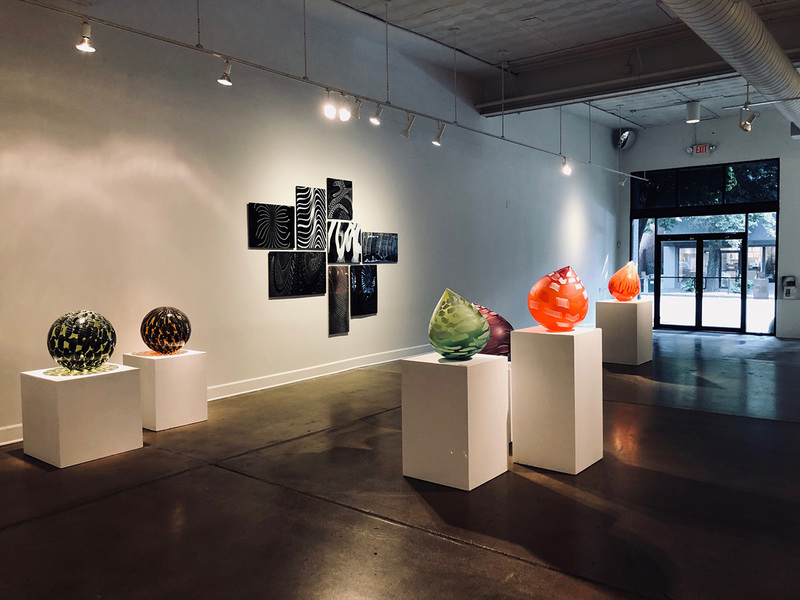 Visit my solo show at Duane Reed Gallery through October 13! I’m showing new Droplets, Palomas and wall panels. The work will travel to SOFA Chicago for extended viewing. 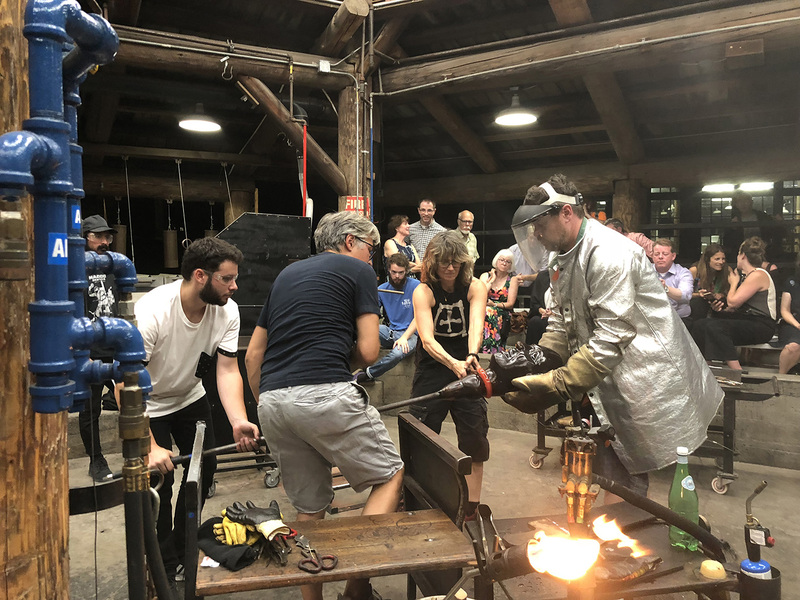 Dine With The Makers at Pilchuck! 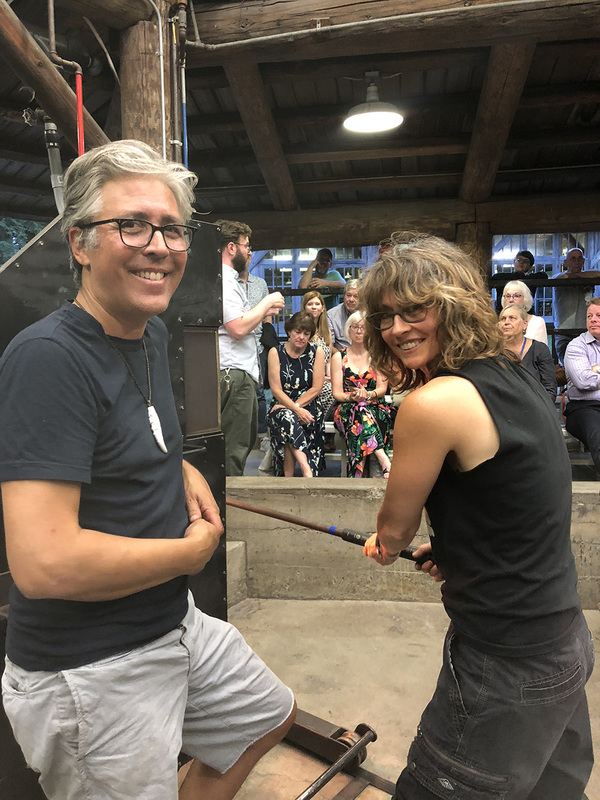 I had a fun time collaborating with Preston Singletary at Pilchuck last week for this special collector event. It’s always an honor to support this great school and share the campus and the magic with new people! Preston and I decided to work on a mold-blown mask with a wood-grain pattern. Alix Cannon, Isaac Feuerman and Pilchuck staff assisted us and everything went smoothly from start to finish. I’ll post some pictures of the finished piece soon! Setting up the wood grain pattern with Preston. We’re not having any fun at all! Taking the finished mask off the pipe. STARworks Residency and New Project! I was thrilled to return to STARworks in Star, NC last month to develop a new project for the Mint Museum in Charolotte, NC. 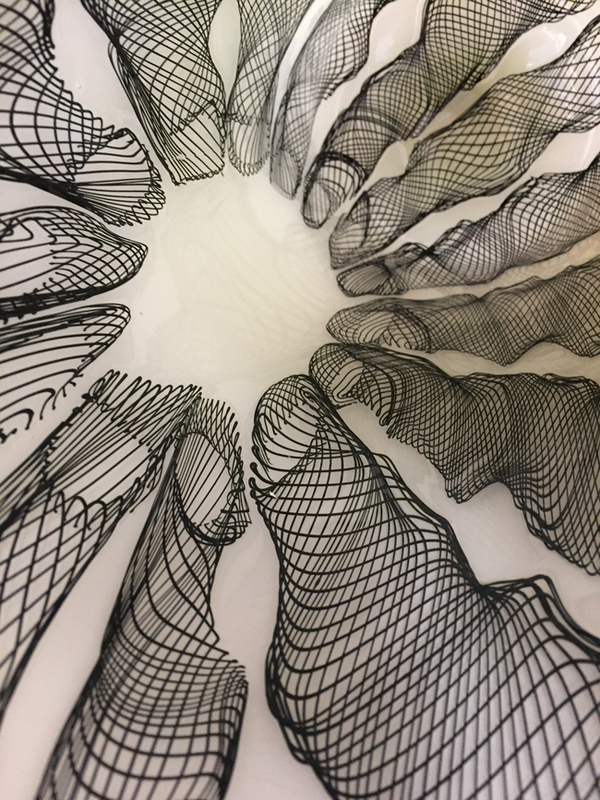 I’m creating a new multi-panel composition in glass on the theme of textiles. 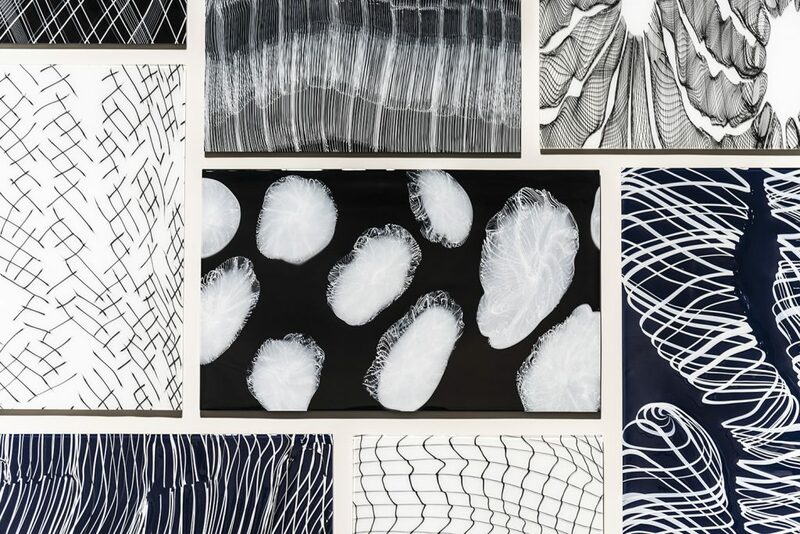 North Carolina has a rich history as part of the textile industry and I have long been interested in fabric patterns, structure, and the visual relationship between glass and textiles. Venetian cane techniques use glass strands that are much like threads when pulled, twisted, and layered so this is a rich area for me to explore visually. I am excited about this project and so appreciative of all the support that made this residency possible. Thank-you especially to Lorne Lassiter & Gary Ferraro, the Mint Museum Founder’s Circle, Curator Annie Carlano, Director Nancy Gottovi, Joe Grant, and the staff at STARworks, my fabulous Seattle team of Alix Cannon, Isaac Feuerman and David Walters, and all the other volunteers who stepped in to lend a hand! Setting up a striped pattern for a cylinder. Fun! 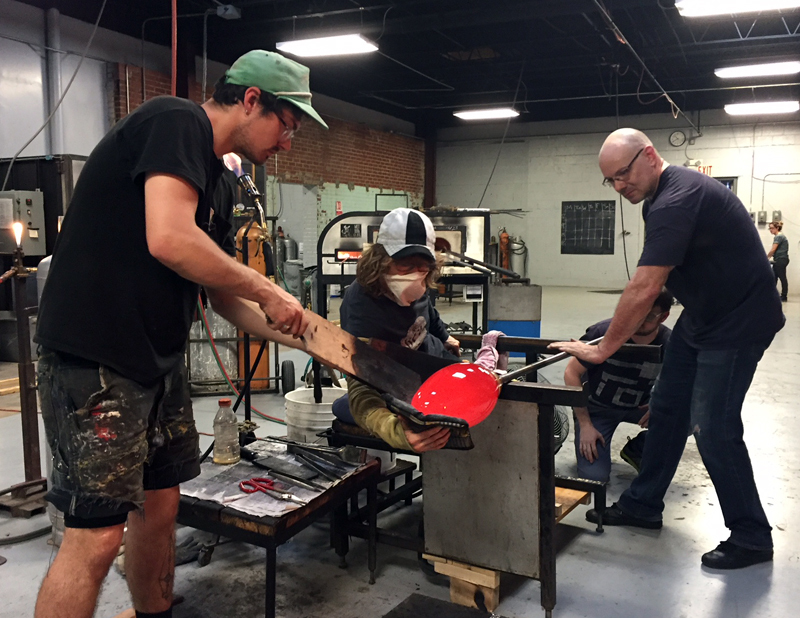 Working hard with Dave Walters and artist-in-residence Chris assisting at the bench. Check out the huge amount of work we did! 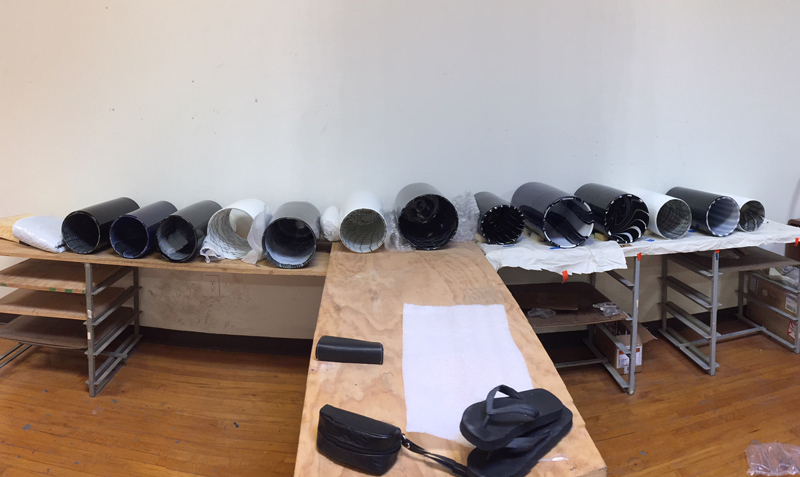 Each cylinder will be slumped open into a flat panel. 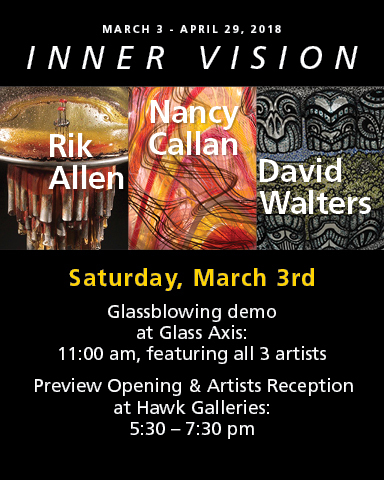 March 3: Glassblowing Demonstration at Glass Axis, 11 a.m.
March 3: Reception with the Artists at Hawk Galleries, 5:30 to 7:30 p.m.
I’ll be showing my newest work at Hawk Galleries in Columbus, Ohio in March and April of 2018. It’s going to be fun to show with two of my dear friends: Rik Allen and Dave Walters! We have very different creative visions but a share a sense of wonder about the world and the power of imagination. We hope you can join us! I’m pleased to be featured on 1st Dibs this month! 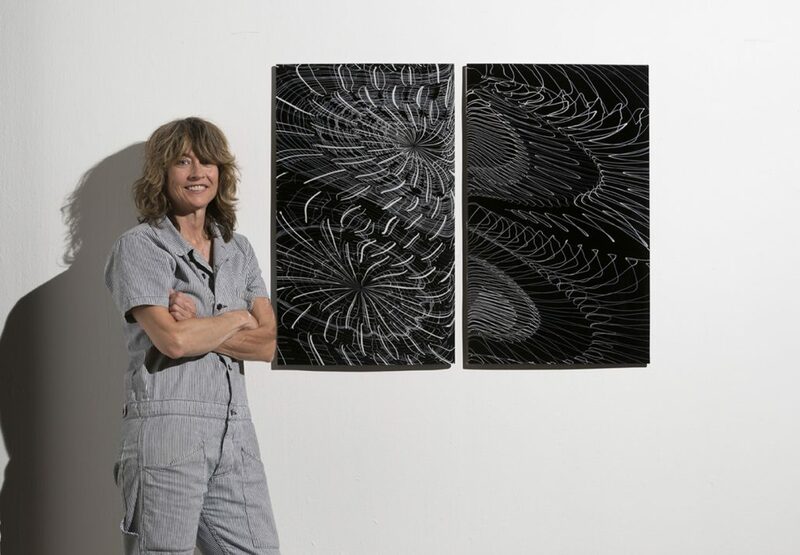 Their online publication, “Introspective Magazine”, did a nice profile of three artists associated with Urban Glass. I’m in great company there. Thanks to Duane Reed Gallery as well for bringing my work to this audience! 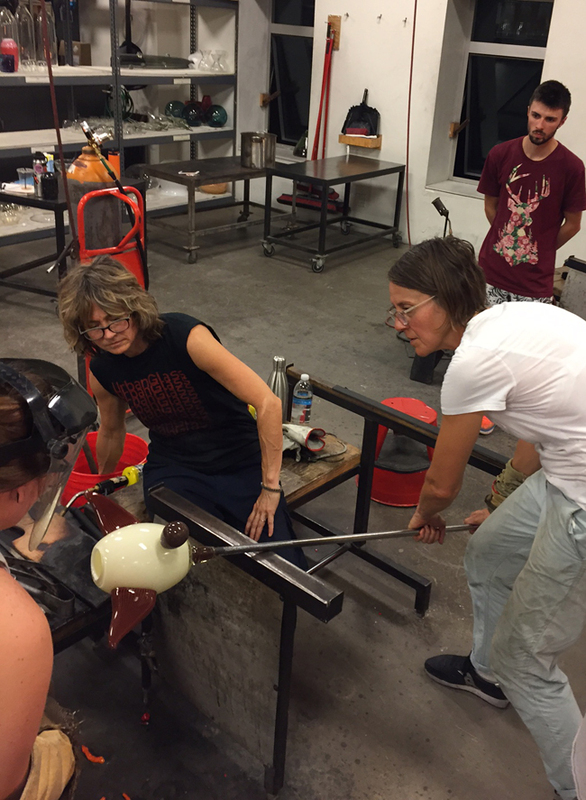 I just got back from a super productive week at Urban Glass, where I co-taught a class with Katherine Gray. We enjoyed working with the fantastic students and spending some time in NYC. Kathy and I are collaborating on some new work and we made some prototypes and experiments for our demos. Here’s a few process shots! Artist have to keep growing. I’m a big believer in pushing myself to try new techniques and create new forms. Sometimes I fail, but those failures often form a basis for further experiments. Last year, I had a residency at STARworks in Star, NC. While there I decided to focus on making slumped panels, using a traditional technique for making sheets of glass: blowing a large cylinder, cutting it lengthwise, and slumping it flat in a kiln. Of course, I added patterns to make it more interesting! 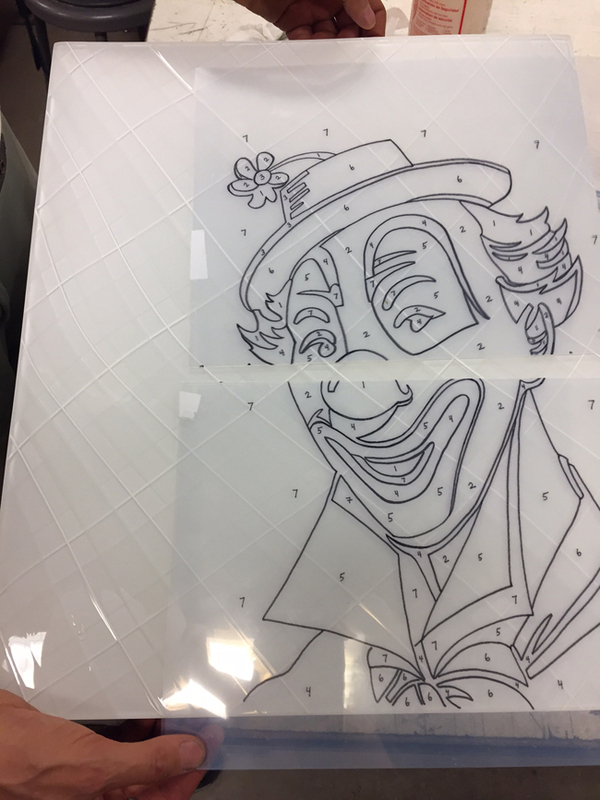 The best way I can describe this process is making a drawing that you don’t really get to see until it comes out of the kiln. I loved it! I was hooked. To create, finish, and display these pieces, I have acquired a host of new tools, skills, and friends. 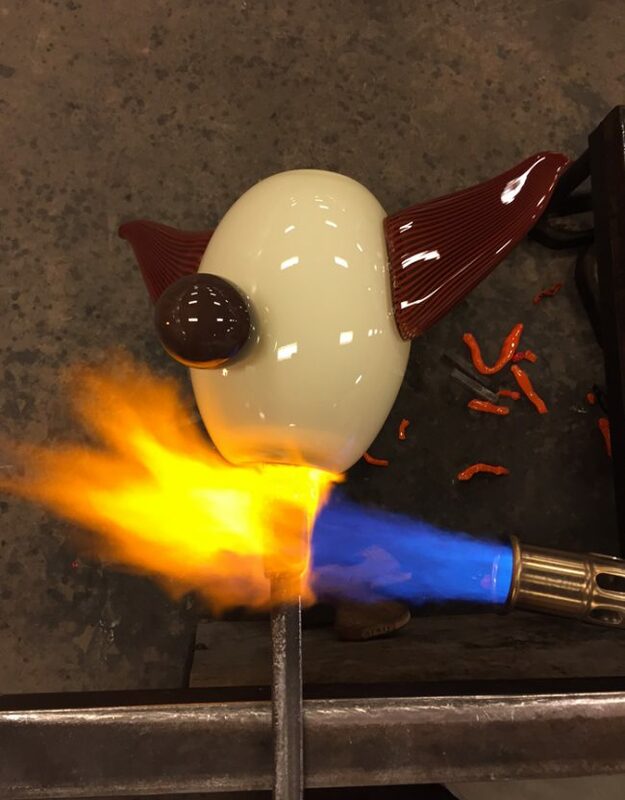 Jim Flanagan at Fremont Antique Glass Company helped me with some early experiments, and the team at the Museum of Glass in Tacoma has helped me experiment with the best way to do the slumping. Karsten Oaks cuts and polishes the edges and helps me with surface issues. I’ve learned more about glues, cleats, and gravity than you’d believe…. the hard way. And I just bought a new kiln, so that I can take the process to completion in-house! 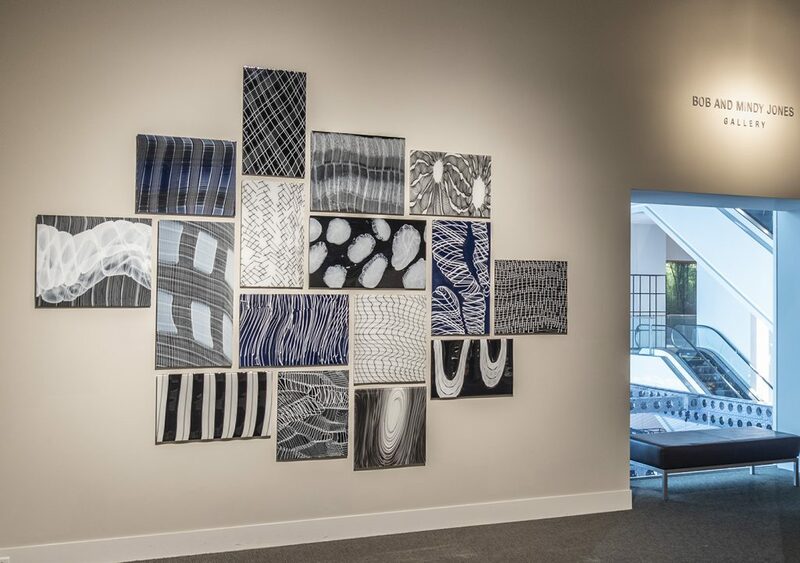 It’s been an awesome year and I’m so grateful to all who have helped me on this path, including Sarah Traver and Traver Gallery in Seattle for exhibiting my first major work in the series, “Quilt”, during my 2016 solo exhibition. This fall I will show new wall panels at SOFA Chicago with the Duane Reed Gallery, including “Twin Galaxies” pictured here. I’m looking forward to some sunshine in lovely St. Petersburg soon! This will be my second show at Duncan McClellan Gallery. 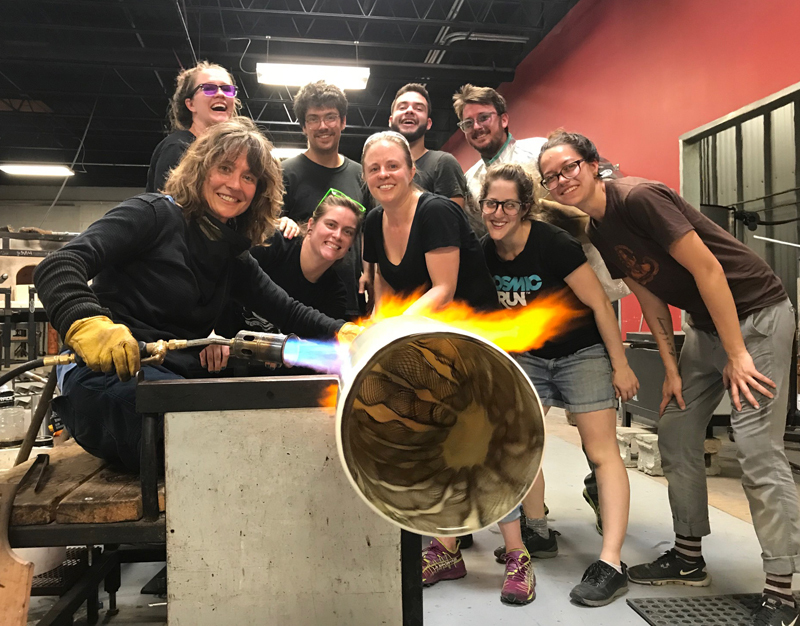 They have a wonderful indoor / outdoor space that shows glass beautifully, and their hot shop means that I can do some demonstrations as well! 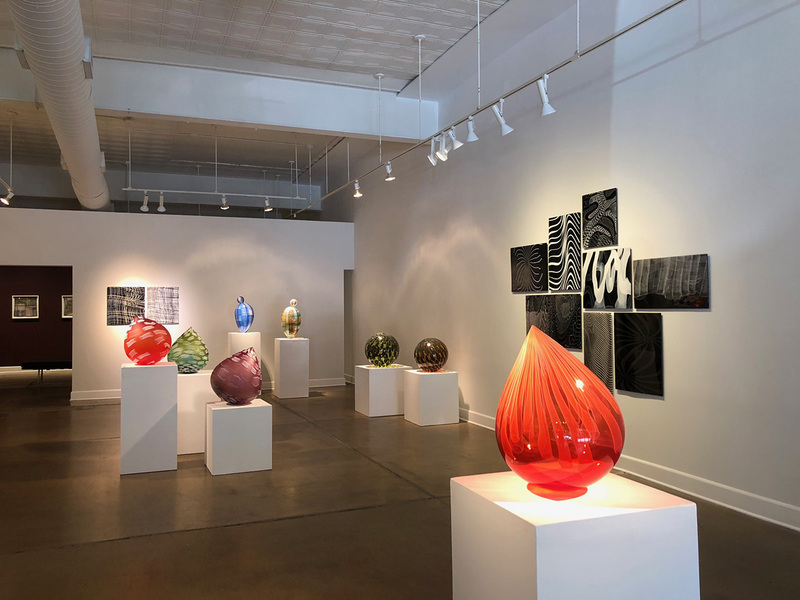 I’ve made a number of new pieces for the show, including some new “Orbs”, “Palomas”, and “Droplets” with an emphasis on color for the Florida collectors. See you all soon! Jazz concert with Henry Ashwood Jazz Project from 8-10pm. Sunday April 9 @ 3 p.m.